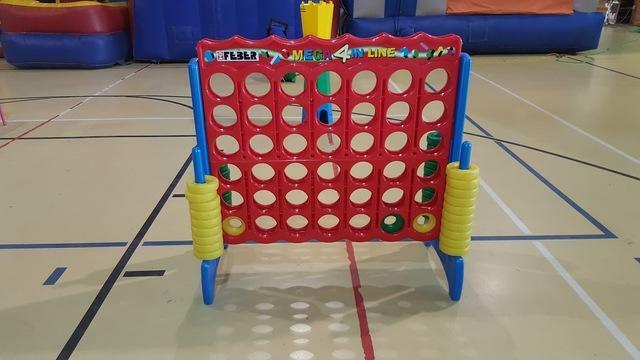 This classic strategy game requires players to connect four of their own rings in a row - horizontally, vertically or diagonally - before their opponent does. The game teaches important lessons like planning ahead, learning from experience and getting along with others. Let two kids play, or make teams to encourage cooperation. This Jumbo 4-To-Score from ECR4Kids is weather-resistant, so you can play indoors or out. Adult supervision recommended.